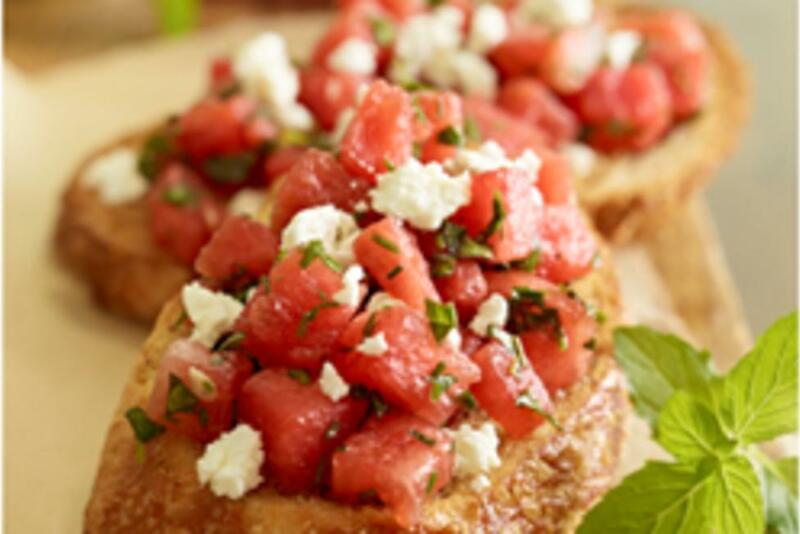 In a bowl toss together watermelon, cheese, chives, mint, vinegar, and salt and pepper to taste and mound about 1 tablespoon on oiled side of each toasts. To make toasts: Prepare grill or preheat broiler. With a serrated knife cut bread crosswise into 1/2-inch-thick slices. Combine the oil and garlic together and spread it on one side of the cut bread. Arrange bread slices in one layer in a shallow baking pan and bake in middle of oven until golden, about 10 minutes.